This is an update to my March 15, 2006 article: Iran - Israel's Air Strike Options. 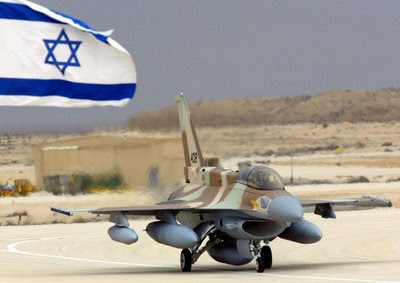 Last week's power projection exercise by the Israeli air force has been called a possible rehearsal for an attack on Iranian nuclear facilities. In this exercise, the Israelis flew more than 100 F-15 and F-16 fighter aircraft a distance of 600 miles from their home bases west over the Mediterranean Sea as far as Crete and returned. The exercise involved aerial refueling and practiced search and rescue for downed fliers. Was this a message to the Iranians? Of course. It was also a message to the rest of the world that if the rest of the world is unable or unwilling to resolve the Iranian nuclear issue, Israel may act unilaterally to counter what most Israelis believe to be an existential threat to the Jewish state. As I wrote in my 2006 analysis, an airstrike from Israel to targets deep inside Iran is a very difficult mission. The main obstacle is the distance the aircraft would have to fly, almost if not all of it through hostile airspace. As I posited earlier, the two likely avenues of approach were either through Iraq or Saudi Arabia. When I wrote that article, I assessed that attacking through Turkish airspace was not likely. Is that still the case? Turkey and Israel have had a defense agreement since 1996 and have conducted joint military training exercises. During the Israeli attack on the alleged Syrian nuclear facility at al-Kibar, Israeli aircraft are believed to have used Turkish airspace. Would such cooperation extend to allowing Israel to use not only Turkish airspace, but Turkish air bases for operations against Iran? Use of Turkish air space would require the attacking aircraft to fly over 1000 miles in Iranian air space. Let's look at a map. Last week's exercise from Israel to Crete is about 1200 miles roundtrip. Note the similarities in distance from Israel to Crete and from eastern Turkey to the likely primary target at Natanz, the Iranian nuclear enrichment plant near Esfahan. There are numerous small remote Turkish air bases in eastern Turkey that could be used to stage Israeli tankers and search and rescue helicopters. 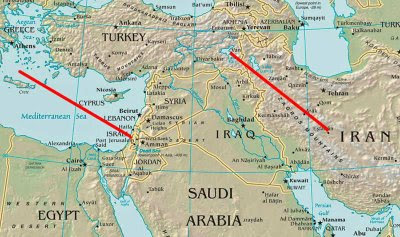 The distance from Israel directly to targets in Iran - meaning through Iraq or Sadui Arabia - is barely within the unrefueled combat radius of Israel's F-15I Ra'am and F-16I Sufa fighters. These aircraft were designed for long-range interdiction missions such as the one we are discussing. Using Turkish airspace is a much longer, but safer - flight route. To be able to reach the target, let alone carry meaningful ordnance loads, aerial refueling is key. However, refueling in hostile air space is a difficult operation with a low probability that they would escape detection. The fact that the Israelis practiced aerial refueling as well as search and rescue last week indicates to me that they have successfully acquired the use of friendly airspace. Turkey is the obvious choice as an ingress route for attacking aircraft. Would Iran retaliate against Turkey if this scenario were to play itself out? Probably not directly - Iran still must consider the ramifications of attacking a NATO country. U.S. and Iraqi negotiators are drafting an agreement that will determine the role of American forces in the country after the current United Nations authorization expires at the end of this year. As one would expect, the most vocal critics of this agreement are Iranian President Mahmoud Ahmadinejad, Chairman of the Assembly of Experts Akbar Hashemi Rafsanjani and even the Supreme Leader Ayatollah Ali Khamenei. All have strongly condemned any agreement between Washington and Baghdad as the groundwork for the permanent presence of thousands of American forces on their western border. It is the possible long-term presence of American troops that has the Iranians concerned – and rightfully so. From the Iranian perspective, the ability to influence events in Iraq is a zero-sum game. If the American forces are there in large numbers, it follows that the United States will exercise substantial influence over the government in Baghdad, at the expense of the Iran’s ability to influence events in Iraq. The more influence Washington has, the less Tehran has. The Iranians view Iraq and what happens there as a vital national interest. The last thing the Iranian leadership wants is a strong American military presence next door limiting their freedom to do as they wish in the country. Iran fought a devastating, bloody, eight year war with Iraq, and is rightfully concerned about stability in its neighboring country. Iran wants a stable Iraq to be sure, but a stable Iraq that responds to its influence, not the influence of the United States. When stability finally does come to Iraq, Iran wants to ensure that it emerges as the key power broker in the region. Since they view this as a zero-sum game, that primacy will come at the expense of the United States. To meet its objectives, Tehran needs an acquiescent government in Baghdad. Given the demographics of Iraq, this is eminently possible. Shiites comprise about 60 percent of the population and will likely dominate the Iraqi government. Despite the losses suffered by many Shiite families in the Iran-Iraq War, most Shiites have a favorable view of Iran, one the few majority Shiite countries in the world..
What stands in the way of having an acquiescent government in Baghdad, in the Iranian view, is the presence of tens of thousands of American troops in Iraq. Prime Minister al-Maliki has recently moved against Shiite groups in al-Basrah and Baghdad’s Sadr City, demonstrating that he is not a Shiite leader, but an Iraqi leader. His willingness to take on Shiite groups, virtually all of which are supported by Iran, is bolstered by the presence of U.S. forces. In the absence of that military power, al-Maliki might be forced to accede to Iranian demands that he not pursue their proxy groups in the country. Iraqi Prime Minister Nuri al-Maliki visited Iran to reassure the Iranians that the agreement between Iraq and the United States will not pose a threat to Iran, that American forces will be restricted to their bases unless their assistance is needed, and that Iraq will never be allowed to be used as a platform for attacks on Iran. The United States would be wise to go along with these conditions. Maintaining a troop presence in the region is important. As long as the world’s economies run on oil, and oil flows from the Persian Gulf constitute about one quarter of that oil, it is in the national interest of the United States to have the capability to guarantee that flow. A military presence in Iraq will help maintain pressure on Iran – the country most likely and capable of disrupting oil shipments from the Gulf. 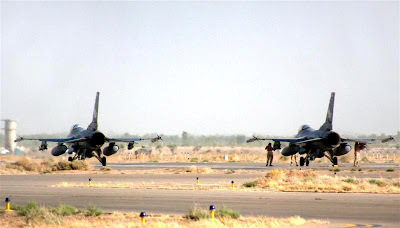 Iraq is ideally situated to provide a great location for a military presence. The country has the potential for decent infrastructure - adequate water, space, roads, rail, etc. It is the location that is important, given the proximity to two of the real "axis of evil" countries - Syria and Iran (the other is North Korea).The Iranians and Syrians might begin to feel a bit surrounded. If Iran is concerned that we are doing something in Iraq, we’re probably doing the right thing. According to information on their website, "America is to blame for the 9/11 attacks." Organization founder Mark Dice also claims the "9/11 attacks were aided by corrupt U.S. officials for political purposes." Okay, here's another conspiracy believer. I tend to summarily dismiss anyone who believes the theory that the attacks on the World Trade Center were in reality explosive charges planted by the U.S. government and that the Pentagon was struck by a missile instead of a hijacked aircraft. 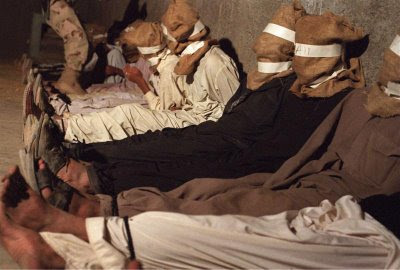 The evidence that 19 Arab Muslim young men, 15 of whom were Saudis, led by Egyptian Muhammad 'Atta, were responsible for the outrage of September 11, 2001 is overwhelming. Not only is the evidence virtually undeniable, the organization to which all 19 perpetrators belonged took credit for the attacks. All of the hijackers prepared videotapes to be played after their deaths. Mr. Dice - wake up. They did it. We didn't. That said, Mr. Dice, you have the right to believe whatever you like, and thanks to the efforts of the American servicemen you are targeting with this ridiculous campaign, you have the right to say whatever you like. What you are really saying to the servicemen is not (as you claim) to ask the question of their superiors if 9/11 was an inside job, what you are trying to do is foment dissent in the ranks. These young men and women know why they are in Iraq. Virtually all of them have volunteered to serve in the armed forces after the invasion of Iraq in 2003. They do not believe your drivel. They have better things to do than be distracted by your efforts to hurt the country. Freedom of speech is one thing – trying to subvert American troops serving in a combat zone is another. Mark Dice is a disgrace. Email Mark Dice and tell him what you think.